I’ve said before that Mark Greaney is my favorite of the Tom Clancy “co-authors” and the perfect choice to continue the Jack Ryan series — however, I was disappointed with Commander in Chief. On the plus side, it is very true to the Clancy formula, which has many characters and disparate plot lines developing simultaneously. I have always loved this, because even if you knew what was going to happen, you also knew the plots were going to converge in a tense, dramatic way. But the problem here is that the convergence is completely void of suspense or any kind of tension. I’m not even sure why, because the story itself is actually good. It involves an out of control Putin-esque Russian president who is annexing former Soviet states and daring NATO to intervene. It’s very much straight from the news and relevant to the times we live in … but it’s just not written in a way that’s very exciting. I found much of the book to be predictable and boring, and was actually hoping for an ending reminiscent of Debt of Honor because otherwise the events in the book would be entirely forgettable. I was also disappointed with the way a number of characters are now being written: Clark, Chavez, Dom and Ryan Jr. are more like characters from a James Bond movie than the realistic, gritty characters from an old school Tom Clancy novel. And in Commander in Chief there are also two professional assassins from Amsterdam that, if I’m being honest, felt like they were from a really bad B movie or even a no-name dark comic book series. The plot is old school Clancy, but the characters are pseudo-Jason Bourne — and I think that’s why it fell flat for me. I will continue to read the series though, with the hope it gets back on track. Use this Amazon affiliate link to read more about Commander in Chief. This entry was posted in book review, fiction, Uncategorized and tagged book review, jack ryan, kindle, mark greaney, tom clancy on December 4, 2015 by tuckerelliot. Los Angeles Dodgers IQ: The Ultimate Test of True Fandom is now available for pre-order in the Amazon Kindle store. This is volume 31 in the best-selling history and trivia series from Black Mesa. Every Major League team has a history—but this is the franchise of Jackie Robinson. Every Major League team has players they call “heroes”—but with Robinson you can drop the emphasis: he’s a true hero, an American icon, and a baseball legend. This is the franchise of Walter Alston, Leo Durocher and Tommy Lasorda; Walter O’Malley, Larry MacPhail and Branch Rickey; the timeless calls of Vin Scully; and no fewer than 43 Hall of Fame players who spent a portion of their careers with the Dodgers. You simply can’t tell the story of baseball’s history without the Dodgers. This is a book of Dodger history and trivia. 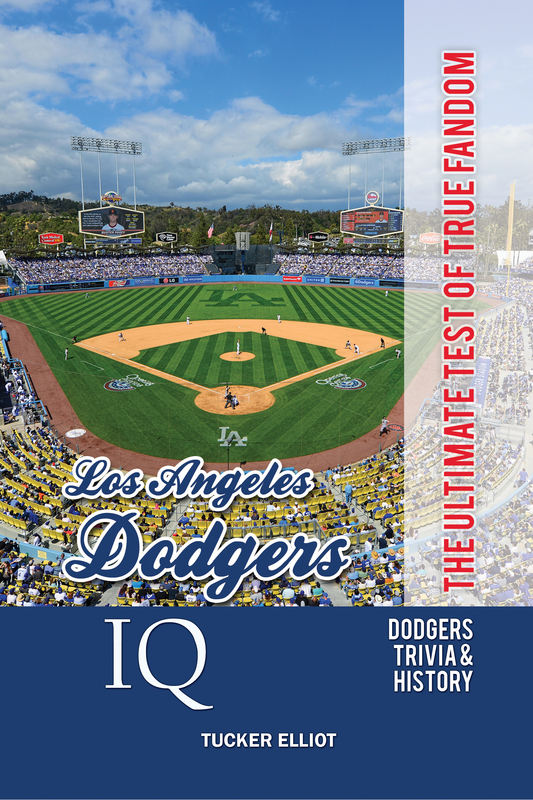 With ten chapters, 200 brand new trivia questions, and a special bonus chapter on the Dodgers 2015 season … these pages are a celebration of the greatest players and moments in franchise history. It’s been a long time since April 21, 1890, when the franchise recorded its first official victory in the National League—but 125 years and 10,000 wins later the team is still going strong, still producing great players and historic moments. Whether you are a novice or a long-time member of Dodger fandom … Think Blue, enjoy the trivia, and have fun reminiscing. This entry was posted in Uncategorized and tagged history, LOS ANGELES DODGERS, major league baseball, trivia on August 3, 2015 by tuckerelliot. A riveting true story from the author of The Day Before 9/11. A hero in the desert, and a hero on the diamond. 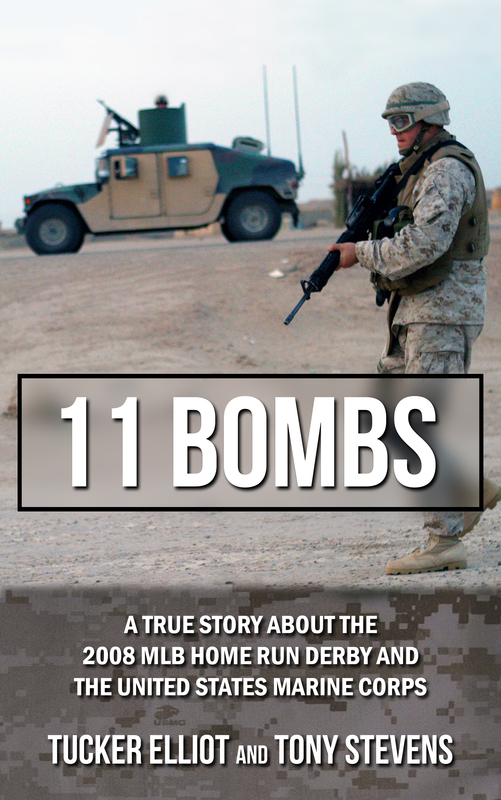 A true story about the 2008 MLB Home Run Derby and the United States Marine Corps. This entry was posted in Uncategorized on August 3, 2015 by tuckerelliot. For a limited time you can purchase any Black Mesa baseball title for only $6.95. Black Mesa is one of the leading publishers in sports history and trivia. You can check out this special offer using this link. Titles include Boston Red Sox, New York Yankees, Atlanta Braves, San Francisco Giants, St. Louis Cardinals and many more. 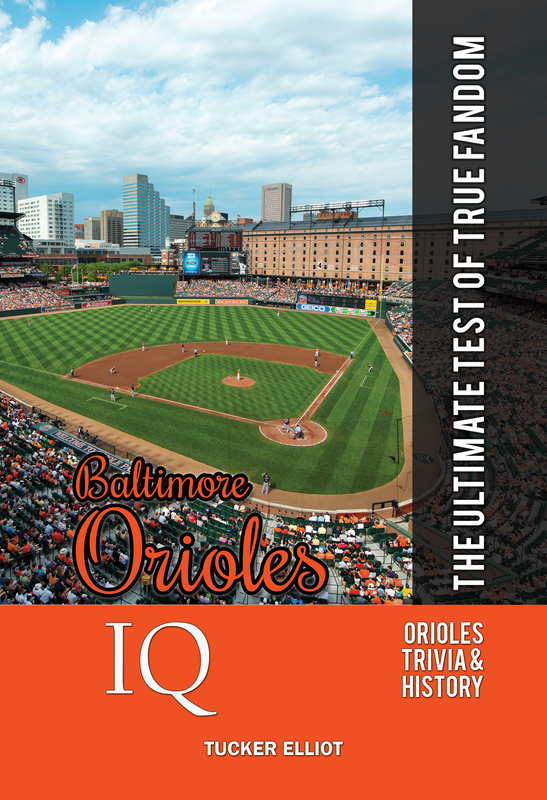 Baltimore Orioles IQ (Tucker Elliot). Cover photo courtesy Mark Whitt. Cover design by Holly Walden Ross. This entry was posted in Uncategorized and tagged baseball history, baseball trivia, major league baseball on August 3, 2015 by tuckerelliot.